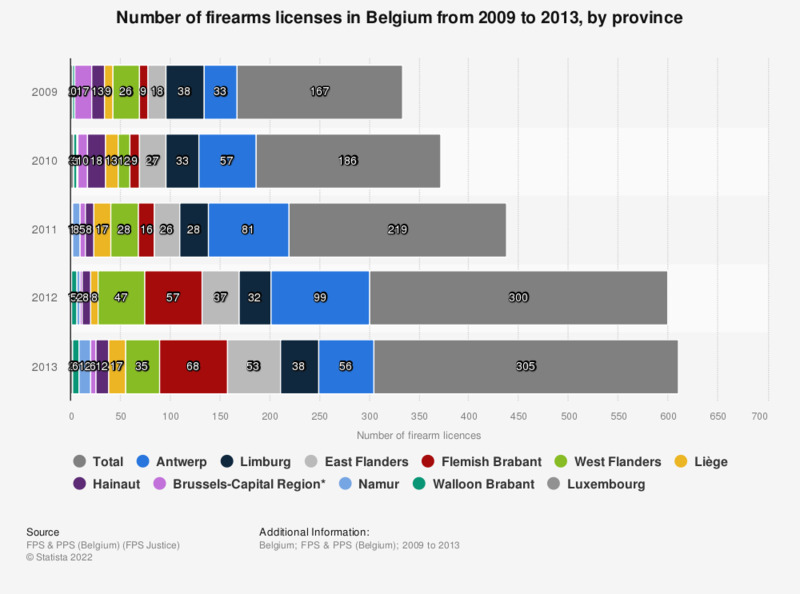 This statistic shows the number of firearms licenses in Belgium from 2009 to 2013, by province. In 2013 305 firearms licenses were registered of which 68 were registered in the province of Flemish Brabant and 56 were registered in the province of Antwerp. * The source mentions a division by province, however Brussels is legally not considered a Belgian province. The Flemish and the Walloon Region each have five provinces, nevertheless, the Brussels-Capital Region is not divided into provinces and is also not a province in itself.